Why Do Some Rugs Bleed? One of the great fears of rug owners is that their beloved Oriental rug will bleed or transfer dye and either ruin the surfaces near it, or become ruined itself. Why do some rugs bleed, and what can be done to prevent bleeding? The rug has excess dye. If the rug has never been professionally cleaned before, there may be excess dyes in the rug’s fibers that will bleed during the first cleaning. Certain types of rug also have extra dye – or even ink – added to it after it is woven. This extra dye makes these rugs especially prone to bleeding, particularly during the initial cleanings. The rug’s dye is not colorfast. Some rugs simply have dye that is not colorfast. When their fibers get wet or are improperly cleaned, these dyes – known as fugitive dyes – will bleed or run. Good professional rug cleaning companies administer dye testing to determine the colorfastness of the dye, and then customize the cleaning process in order to ensure the rug is cleaned thoroughly but safely. Higher quality professional cleaning is needed. If the rug was incorrectly or insufficiently cleaned in the past, it may be prone to bleeding. For example, if the cleaning solution was not adequately removed during a prior cleaning, this can leave behind a residue. If the cleaning solutions that were used are alkaline, the buildup or residue can affect the dyes (which are typically acid) in fine wool rugs, in turn causing them to become bleeders. Or, if a pet urinated on the rug and the spot was not sufficiently treated, the urine will eventually become more alkaline and create the same effect. The best way to prevent damage due to dye transfer and bleeding is to find a good quality rug cleaning company and trust your rug only to the professionals. Highly rated rug cleaning professionals need to know how to test for colorfastness, how to devise the perfect, custom cleaning package for rugs that may bleed, and how to handle bleeding should it occur during cleaning. RugPro is the best rug cleaning company Jacksonville FL rug owners trust with their fine Oriental and Persian rugs. We take our job very seriously and train our technicians to identify all types of rug fibers, potential issues, and rug construction methods, and to clean each rug in a way that will clean it thoroughly but safely. 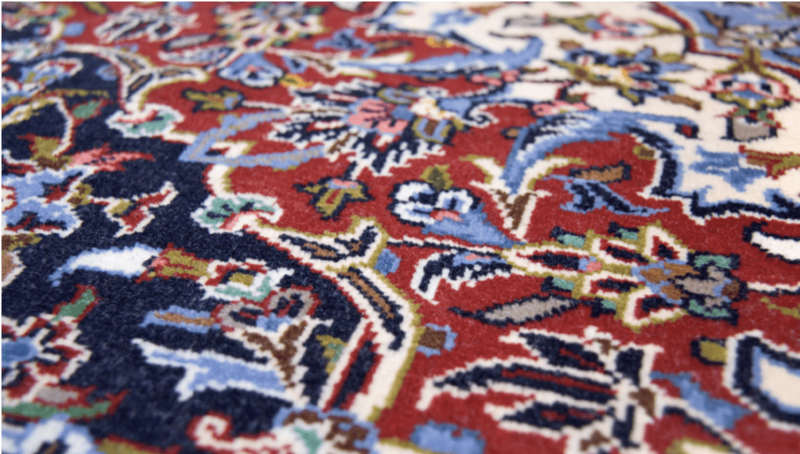 Our customers in Jacksonville Beach, Ponte Vedra Beach, Riverside Avondale, and throughout the region know we’ll care for their rugs as if they are our own. If your rug is in need of cleaning or care, call on us!